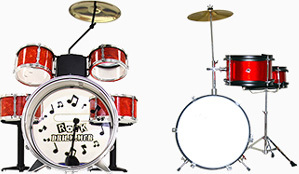 Easily our most eclectic and unique sound library, Complete Toy Museum delivers the sounds of both our Acoustic and Electric Toy Museums, delivering 317 musical toys such as baby percussions, toy guitars, ancient automates, mini-keyboards, learning tools, style-o-phones and more. 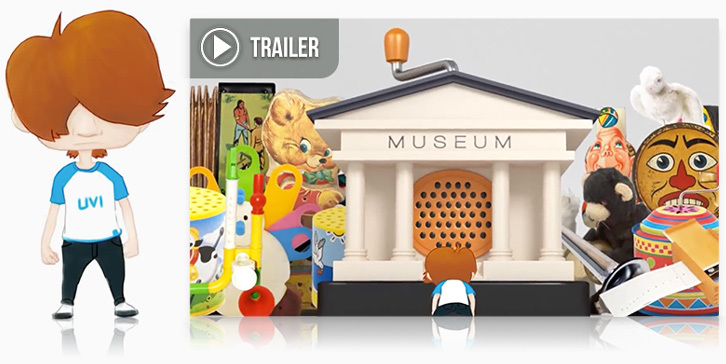 The collection includes everything from modern commercial toys to rare historical ones, providing an enormous range of timbres from cute and nostalgic to peculiar and even bizarre. Browse over 970 included presets to quickly and easily find inspiration from your childhood or dig deep and explore hundreds that you’ve likely never heard before. 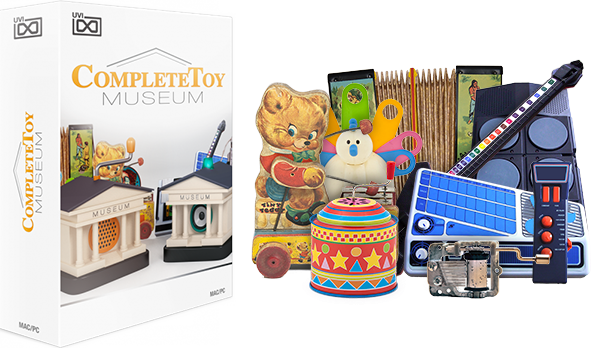 The value of Complete Toy Museum isn't just in numbers, the sound quality itself is truly outstanding. Great care was taken to capture the full detail and natural character of each toy by way of meticulous multi-sampling. Each and every sounds these toys can make was captured, including the odd acoustic noise and electronic glitches some of these toys are prone to. Recording was done with Class-A microphones and using the same professional grade tools and precise editing techniques that we employ when recording a classical violinist. The sounds within Complete Toy Museum are profoundly unique and bristling with charm and detail, ready to accent your tracks and sound design with a genuine novelty and nostalgia unlike anything else. Sometimes advanced keyboards are hidden behind the word "toy"